Today we have another awesome fan creation coming your way, this time from Mason Drumm! Over the course of 7 months, Mason created the stop motion animated short Indomation, which you can enjoy below! First, check out what Mason had to say about the process and his love of the Jurassic franchise! 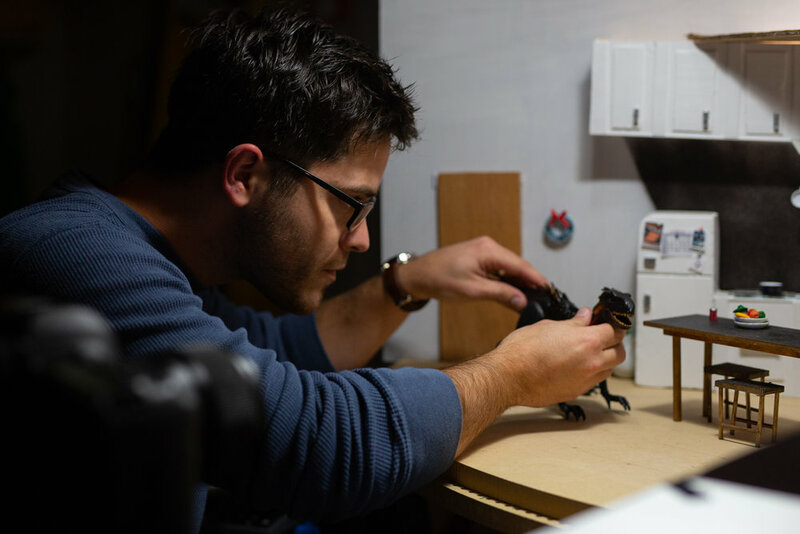 Through hand-built sets, custom-painted action figures and over 90 hours of painstaking animation, “Indomation” is a whimsical tribute to the filmmakers and artists who brought us the Jurassic franchise - a series of films that has inspired countless artists and storytellers, myself included, from across the globe. The short film also features a repainted Mattel Indoraptor from non other than co-host of Jaye & Ted’s Jurassic Adventures, Ted Brothers! Mason put together something really awesome, so make sure to watch the short below and check out some behind the scenes pictures below!